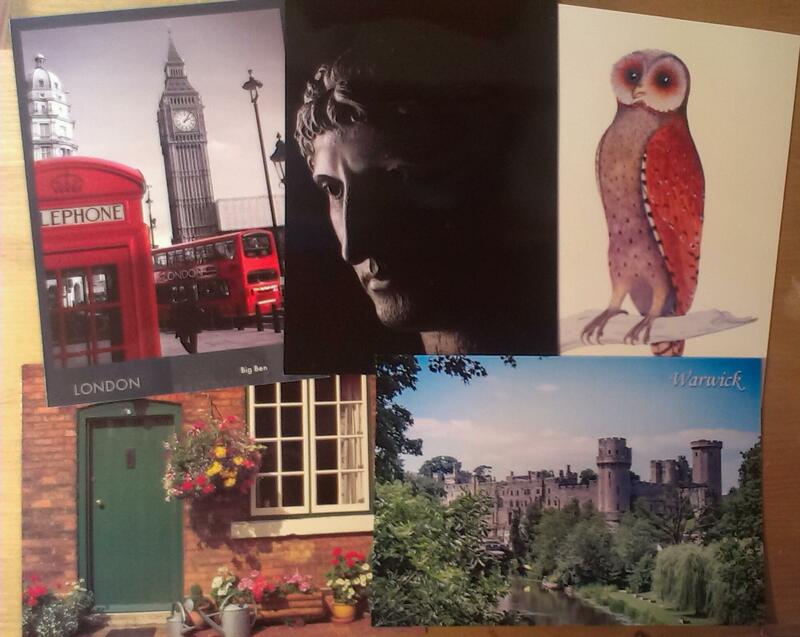 It’s been a busy few days for postcards and I’ve received some great cards. 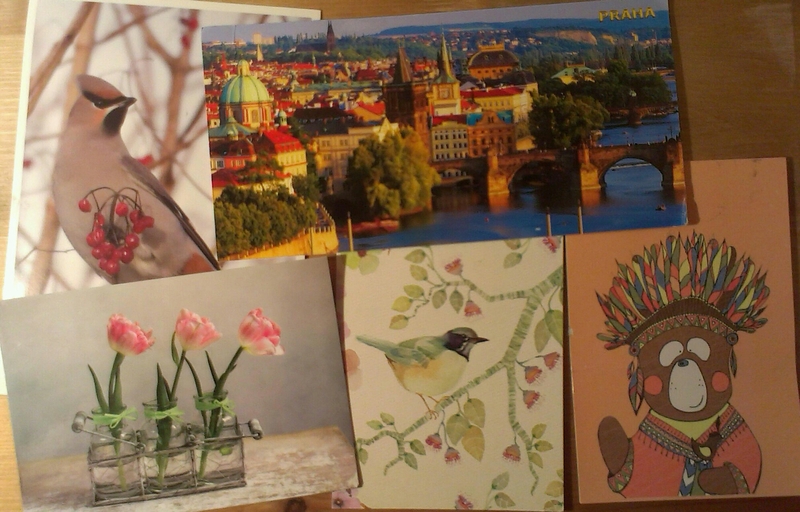 The great panoramic card of Prague and the pink tulips came from swaps. The large bird is from Germany as part of the monthly postcard diary swap on the Postcrossing forum, this week Hanko was in the Netherlands on holiday. The smaller illustrated bird is from my postcard pal Alex in Russia (I sent a colourful merry-go-round card in return), and the Native American bear is also from Russia as an official Postcrossing card. Also sent out this morning was my second Postcircle letter, off to Stockport. It’s great to be sending within the UK sometimes too.